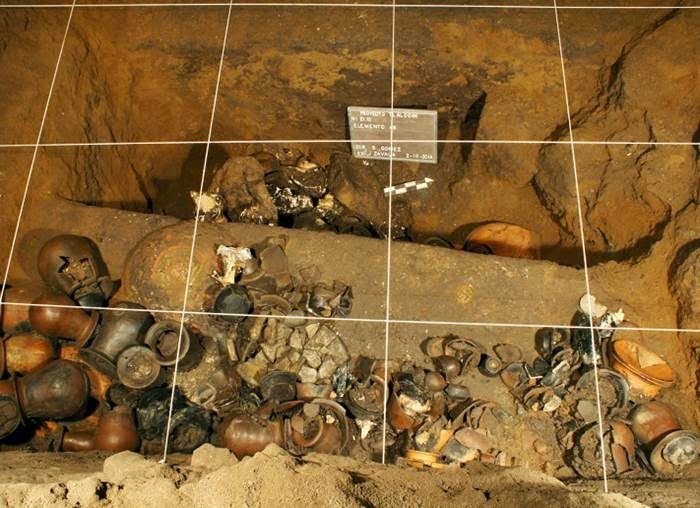 MEXICO CITY (AP) — A yearslong exploration of a tunnel sealed almost 2,000 years ago at the ancient city of Teotihuacan yielded thousands of relics and the discovery of three chambers that could hold more important finds, Mexican archaeologists said Wednesday. 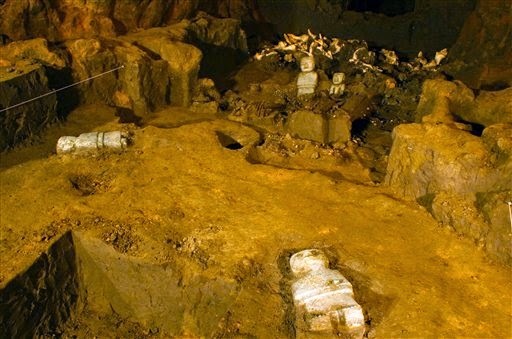 Project leader Sergio Gomez said researchers recently reached the end of the 340-foot (103-meter) tunnel after meticulously working their way down its length, collecting relics from seeds to pottery to animal bones. 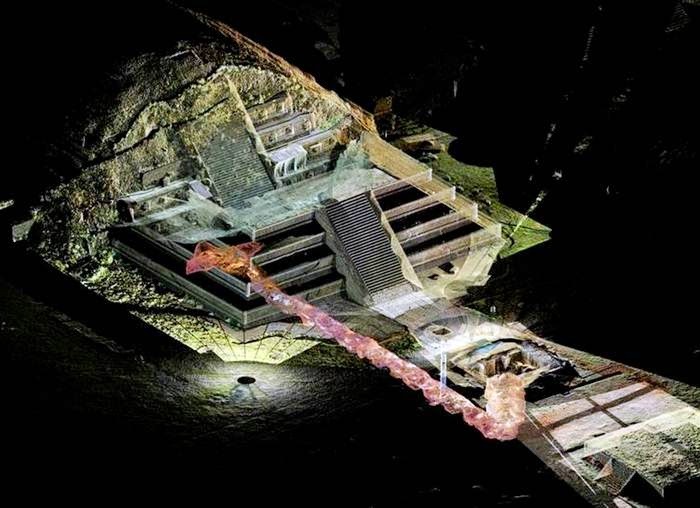 A large offering found near the entrance to the chambers, some 59 feet (18 meters) below the Temple of the Plumed Serpent, suggests they could be the tombs of the city's elite. "Because this is one of the most sacred places in all Teotihuacan, we believe that it could have been used for the rulers to ... acquire divine endowment allowing them to rule on the surface," Gomez said. Unlike at other pre-Columbian ruins in Mexico, archaeologists have never found any remains believed to belong to Teotihuacan's rulers. Such a discovery could help shine light on the leadership structure of the city, including whether rule was hereditary. "We have not lost hope of finding that, and if they are there, they must be from someone very, very important," Gomez said. So far Gomez's team has excavated only about 2 feet (60 centimeters) into the chambers. A full exploration will take at least another year. Initial studies by the National Institute of Anthropology and History show the tunnel functioned until around A.D. 250, when it was closed off. Teotihuacan long dominated central Mexico and had its apex between 100 B.C. and A.D. 750. It is believed to have been home to more than 100,000 people, but was abandoned before the rise of the Aztecs in the 14th century. Today it is an important archaeological site on the outskirts of Mexico City and a major tourist draw known for its broad avenues and massive pyramids.